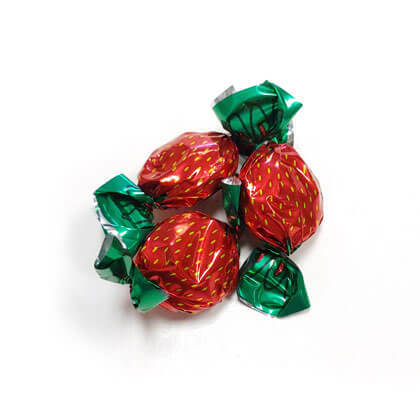 Strawberry filled hard candy or bon bons. Fruity hard candy filled with a sweet strawberry jelly center. Individually wrapped. 12 ounce bag. Approx. 4 pieces per ounce.